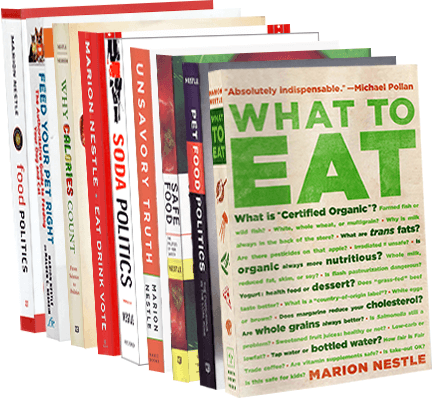 Food Politics by Marion Nestle » More industry-funded studies. The score: 135/12. Correction: 132/12. More industry-funded studies. The score: 135/12. Correction: 132/12. Corrections, February 25: Several readers have written in to comment that two of these papers do not actually appear to benefit the sponsors. I have written their comments in red. A reader also filed a correction to one of listings for February 18. That brings the score down to 132/12. Latin American Study of Nutrition and Health (ELANS): rationale and study design. M. Fisberg, I. Kovalskys, G. Gómez, A. Rigotti, L. Y. Cortés, M. Herrera-Cuenca, M. C. Yépez, R. G. Pareja,Guajardo, I. Z. Zimberg, A. D. P. Chiavegatto Filho, M. Pratt, B. Koletzko, K. L. Tucker and the ELANS Study Group. BMC Public Health (2016) 16:93. DOI 10.1186/s12889-016-2765-y. Conclusion: This study will provide valuable information and a unique dataset regarding Latin America that will enable cross-country comparisons of nutritional statuses that focus on energy and macro- and micronutrient intakes, food patterns, and energy expenditure. Funding: The ELANS study and authors were partially supported by a scientific grant from the Coca Cola Company and by different grants and support from the Instituto Pensi/Hospital Infantil Sabara, International Life Science Institute of Argentina, Universidad de Costa Rica, Pontificia Universidad Católica de Chile, Pontificia Universidad Javeriana, Universidad Central de Venezuela (CENDESUCV)/Fundación Bengoa, Universidad San Francisco de Quito, and Instituto de Investigación Nutricional de Peru. The funders had no role in study design, data collection and analysis, the decision to publish, or the preparation of this manuscript. KLT received consulting fees from the Coca Cola Company to participate. MF is member of the directory of Danone Institute International. A reader writes: Coca-Cola undoubtedly hopes that this study will support their efforts to put the blame on lack of exercise. However, the present paper gives no data, and the design does not seem biased. I do not think this paper can support marketing of Coca-Cola. My response: OK. Let’s call this one neutral and delete it from the list. Conclusion: In our study population, consumption of yellow cassava led to modest gains in serum retinol concentration and a large increase in β-carotene concentration. It can be an efficacious, new approach to improve vitamin A status. Funding: Supported by the European Union’s Seventh Framework Programme (FP7/2007-2013) under grant agreement 211484, conducted within the framework of INSTAPA Project. HarvestPlus provided financial support for biochemical analyses and supplies. Capsugel (Bornem, Belgium), Laboratory&Allied (Nairobi, Kenya), DSM Nutritional Products/Sight and Life (Basel, Switzerland), and Laboratorium Medisan (Heerenveen, Netherlands) provided financial and technical support in producing supplements…None of the authors reported a conflict of interest. The funders had no role in the design, implementation, analysis, or interpretation of the data. A reader writes: This study came out somewhat favorably for yellow cassava (non-GMO) and thus for HarvestPlus, but HarvestPlus is a charity with no commercial interests. DSM company provided the carotene capsules for the positive control group, but the study shows you might as well eat cassava naturally high in carotene instead of capsules. My response: This one is not industry-funded. Delete from list. Effects of Diet Composition and Insulin Resistance Status on Plasma Lipid Levels in a Weight Loss Intervention in Women.Tran Le, BA; Shirley W. Flatt, MS; Loki Natarajan, PhD; Bilge Pakiz, EdD; Elizabeth L. Quintana, MS, RD Dennis D. Heath, MS1; Brinda K. Rana, PhD; Cheryl L. Rock, PhD, RD. J Am Heart Assoc.2016; 5: e002771. Originally published January 25, 2016. doi: 10.1161/JAHA.115.002771. Conclusions Weight loss was similar across the diet groups, although insulin‐sensitive women lost more weight with a lower fat, higher carbohydrate diet versus a higher fat, lower carbohydrate diet. The walnut‐rich, higher fat diet resulted in the most favorable changes in lipid levels. Funding: This study was supported by the NIH (CA155435) and the California Walnut Commission. Regular Fat and Reduced Fat Dairy Products Show Similar Associations with Markers of Adolescent Cardiometabolic Health. Therese A. O’Sullivan, Alexandra P. Bremner, Trevor A. Mori, Lawrence J. Beilin, Charlotte Wilson, Katherine Hafekost, Gina L. Ambrosini, Rae Chi Huang and Wendy H. Oddy. Nutrients 2016, 8(1), 22; doi:10.3390/nu8010022. Conclusions: Although regular fat dairy was associated with a slightly better cholesterol profile in boys, overall, intakes of both regular fat and reduced fat dairy products were associated with similar cardiometabolic associations in adolescents. Funding: Therese A. O’Sullivan received a grant from The Dairy Health and Nutrition Consortium Australia (DHNC-MetX06-2011) which provided funding for the analysis and write up of this study. No other authors declare a conflict of interest. Concord grape juice, cognitive function, and driving performance: a 12-wk, placebo-controlled, randomized crossover trial in mothers of preteen children. Daniel J Lamport, Clare L Lawton, Natasha Merat, Hamish Jamson, Kyriaki Myrissa, Denise Hofman, Helen K Chadwick, Frits Quadt, JoLynne D Wightman, and Louise Dye. AJCN. First published ahead of print February 10, 2016 as doi: 10.3945/ajcn.115.114553. Conclusions: Cognitive benefits associated with the long-term consumption of flavonoid-rich grape juice are not exclusive to adults with mild cognitive impairment. Moreover, these cognitive benefits are apparent in complex everyday tasks such as driving. Effects may persist beyond the cessation of flavonoid consumption…. Funding: Supported by Welch Foods Inc…. JDW is an employee of Welch Foods Inc. None of the other authors reported a conflict of interest. Comment: Welch sent out a press release: “New research by the University of Leeds in the UK suggests that drinking Concord grape juice daily can benefit certain aspects of memory and everyday tasks in people with stressful lifestyles – specifically working mothers.” Yoni Freedhoff has additional comments on Weighty Matters:Welch’s Study Finds Grape Juice Makes You Smarter #NotTheOnion.